To sign up for the event please go to here on the calendar. If you want to be one of the participants on the Google Hangout, please make sure you you must have joined the Game Economies Google + community and been approved.https://plus.google.com/u/0/communities/113521696357302172511 (Please do this at least one hour before the event). has with you as the final boss of Mogu-Shan Palace. ( Yes we're dancing on his throne after beating him). are all mentioned quite a bit. That probably why we have all of our leveling parties there. Ok. THAT was a very successful sell! I think i want to do this on Puny Gods instead of Arbitrage. I made a Death Night on Area 52. We'll see how much time i have until tomorrow's meeting. At tomorrow session, we'll do a comparison of the realms so people can pick which one they want or both. 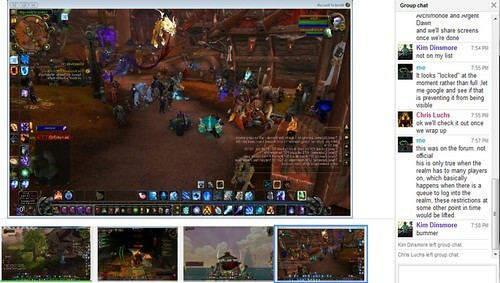 In the discussion, it was briefly mentioned that the WoW economy a “free” non-regulated market. > Players overwhelmingly view purchased characters and/or gold as unfair in-world yet it’s perfectly acceptable in the real world to most. > This is an interesting economic-ethics tension that can be explored. So it’s an ideal theoretical market-system: great way to teach the potential & shortcoming much like in Adam Smith’s writing! A good example of how games can help foster high-level discussions (from a Bloom’s Taxonomy pedagogical perspective) even at a early stage of education! ALSO: The rhetoric about the concept of “virtual goods” reminds me of the rhetoric about financial tools (i.e. not goods or gold/silver) in the burgeoning capitalism in 17th century Europe. Ah the Baroque Cycle. One of my favorite series. I really liked their storyline about the counterfeiting of the coins. You pose an interesting idea about inheritance being illegal. However, there is some inheritance like aspect to having a high level character passing down wealth and assets to their lower level bank alt. 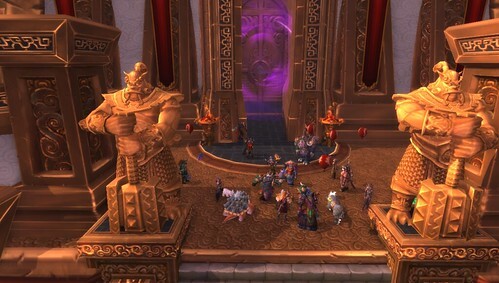 There are also many instances of Guilds providing gold and other assets to new guildies to help them get on their feet. 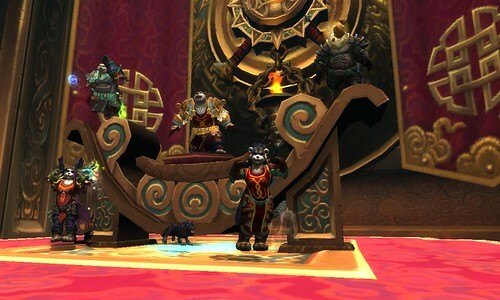 You're absolutely correct about how there are definitely ways to benefit from social connections in WoW even if direct inheritance is banned. I think there is plenty of economics to do about these issues. It is after all a large-scale behavioral laboratory.